After 40+ years of festivals, it is hard to come up with something that we have never done before. 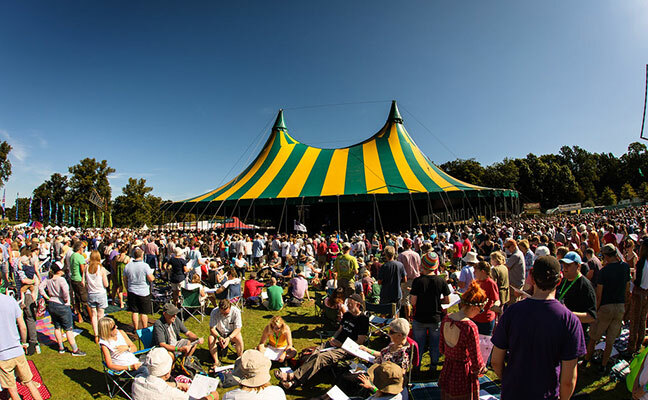 But somehow we’ve managed it: this year at Greenbelt – we’re going to spend Christmas together. We all do Christmas differently, particularly when it comes to sprouts. But if there’s one thing that we can all agree on: Christmas is crackers. There are trees inside the house, there are boxes coming down from the loft full of tinsel and shiny baubles, and overnight the neighbours have set up a flying reindeer on the side of their house. Which flashes. Non-stop. But there’s something special about these anarchic family gatherings, when Grandma has had a bit too much sherry trifle, and the eight-year-old is wearing a paper crown. Like a boss. Sometimes though, all the absurdity and the anarchy distract us from the old-old story, you know the one I mean, the one that is all about – well it’s about absurdity and anarchy too. And it’s a revolutionary love story about an upside-down kingdom, a divine emperor deposed by a peasant baby. A story of dreams, angels, magi and despots. And a bunch of people who wanted to make Israel great again. It’s a foundational story, one which proposes a grand idea – that the real good news is not the peace of empire, but it’s overthrow. That the real feast comes not in the grand banquets of the emperor, but in the simple sharing of bread and wine. And that love is worth living for – as much as it’s worth dying for. So, if you wish it could be Christmas every day, or if you just want to check exactly what Wise Men do say, or if you care about what happens in Palestine today as much as you care about what happened there 2000 years ago, then let’s come together in an act of resistance. Let’s laugh in the face of the empire. Let’s share bread and wine and give each other the gift of presence. Christmas presence. This Greenbelt.